The Faculty of Medicine Dentistry and Health Sciences is pleased to congratulate Faculty members who have been elected as new Fellows of the Australian Academy of Health and Medical Sciences (AAHMS). Announced yesterday at the Academy’s second annual scientific meeting, they are Professor Jane Gunn, Professor Trevor Kilpatrick, Professor Fabienne Mackay and Professor Terry O’Brien. 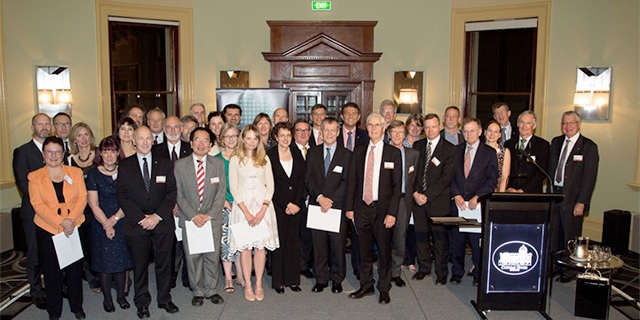 The AAHMS plays an important role for the community as a forum for the discussion of medical research and its translation into practice, by providing independent advice to policy makers and by mentoring new generations of clinician researchers. We congratulate all new Fellows on this important recognition. For a full list, see the AAHMS website.